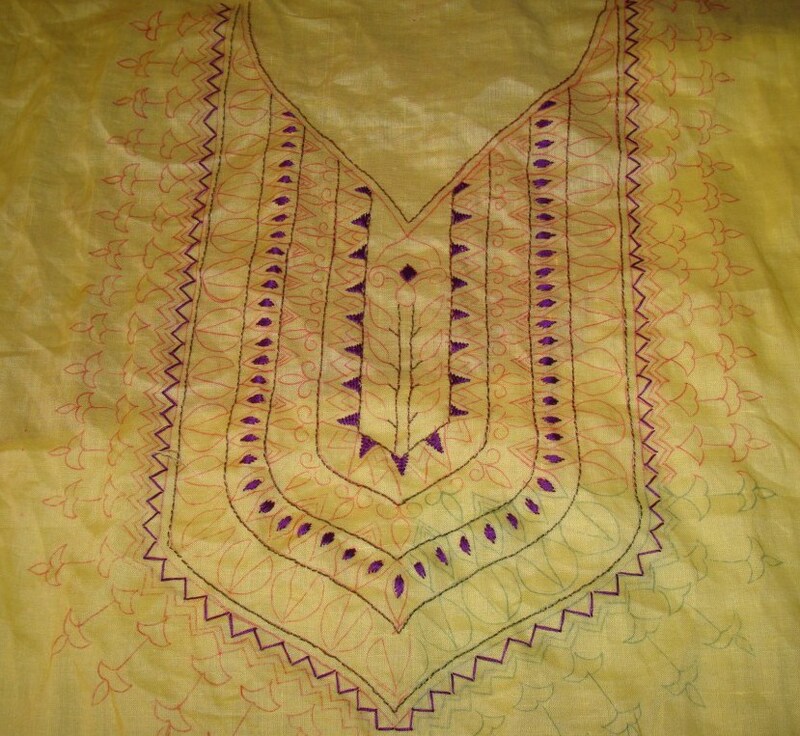 I am posting the yoke and sleeve patterns for this tunic. The details of the embroidery are here. Herring bone stitch, stem stitch and chain stitch were worked with medium green colour thread. 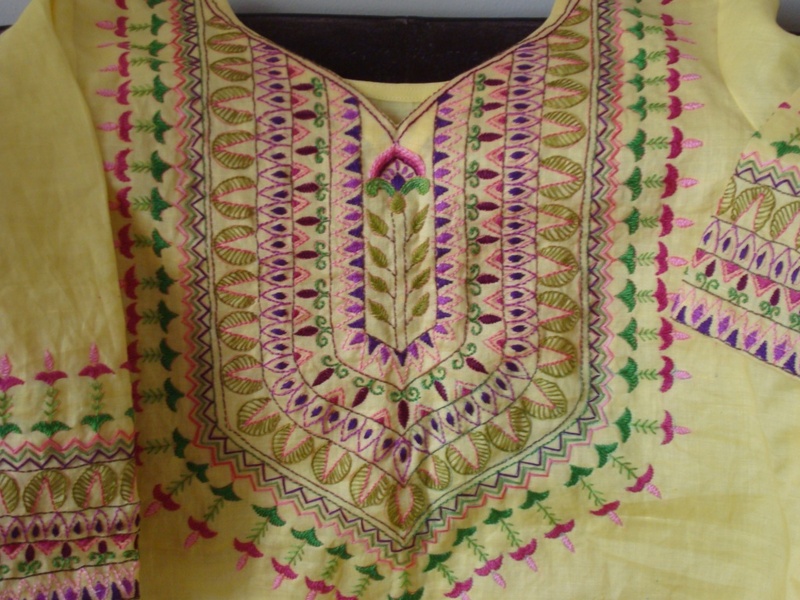 Chain stitch, zigzag back stitch and fly stitch were worked with light green thread. 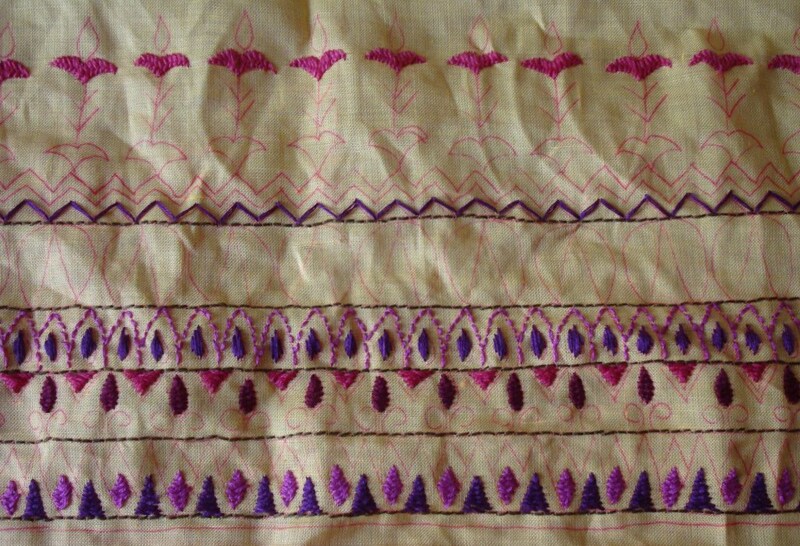 Light pink colour thread was used for chain stitch, herringbone stitch and all the left over lines were also worked in back stitch with this same pink. 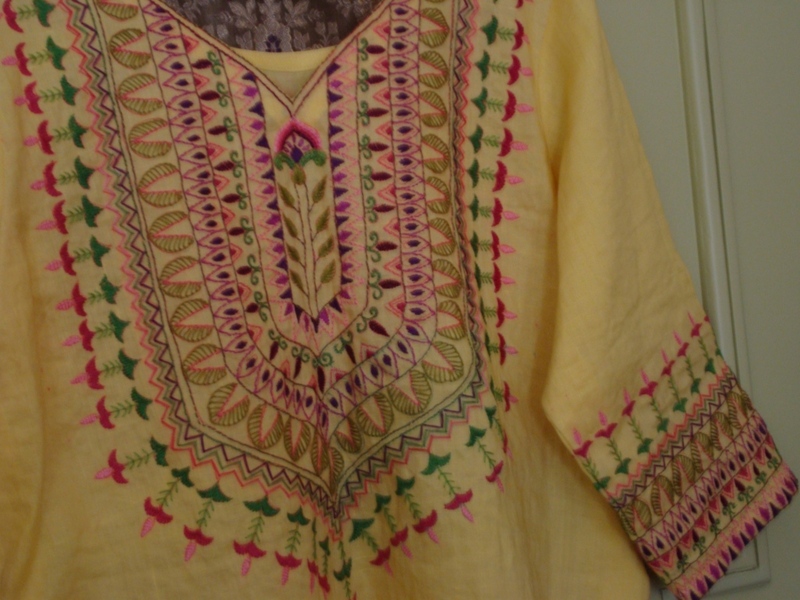 After embroidering this tunic, I now enjoy sharing the details of this project . 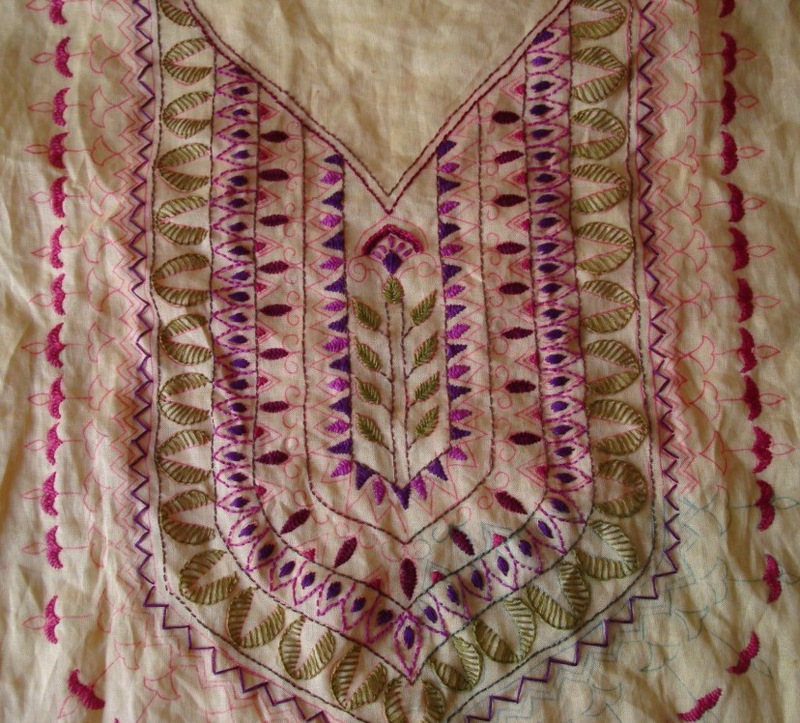 The medium pink was completed on the yoke pattern. Olive green was the next colour. Just as using different shades of pink, I wanted to use different shades of green too. Button hole stitches and fly stitches in the centre are worked with this thread. After this colour I chose, medium green, light green and light pink for this yoke pattern. But did not take pictures after each colour change. So the finished yoke with all these details together will be on my next post. 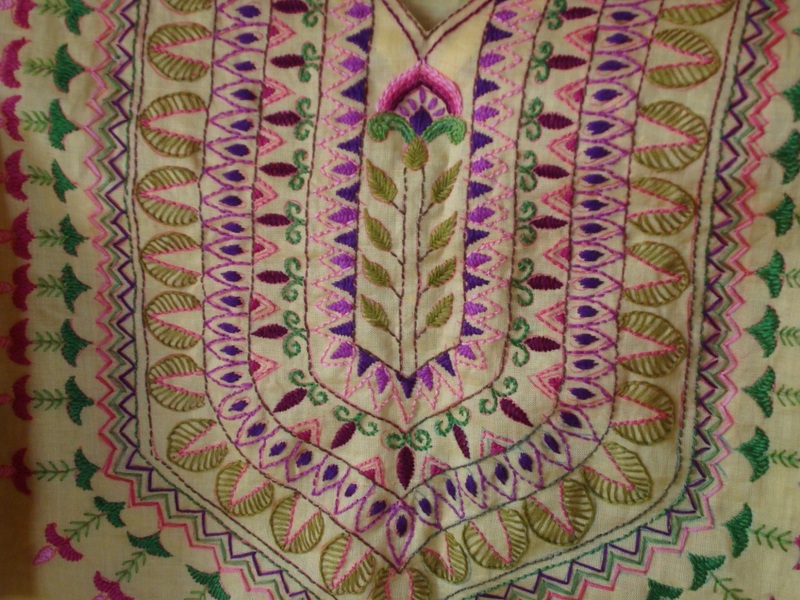 The width of the sleeve border pattern was six inches. Dark maroon is the next colour to be worked on. Dark maroon colour is for reference only, actually it comes as a very dark pink. Number-70 or 71 on anchor cotton skein. Herring bone stitch and chain stitch are worked with this thread. The next colour thread , I don’t know the name, but it was #94 of anchor cotton skein. Herring bone stitch, back stitch and detached chain stitches were worked with this thread. 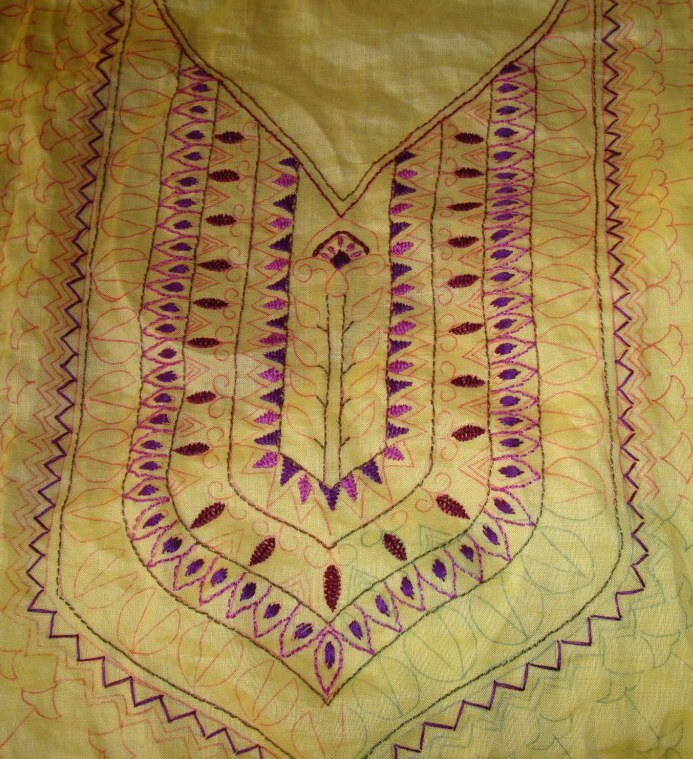 Since I was using a variety of colours, impulsive choosing may totally change the effect of the embroidery. This needs careful, checking at each stage. I worked on the embroidery of the sleeves along with the yoke, because they had the same patterns.